with witty impromptu dialogue and produces rapturously roaring results. Each one of Paula’s shows is completely unique and unrepeatable. 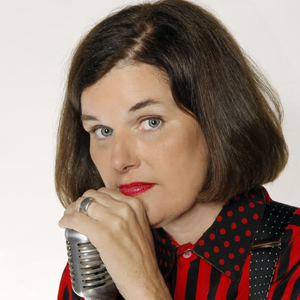 As a customer of the Center, please take advantage of this opportunity to purchase the best seats for Paula Poundstone before tickets go on sale to the general public on Friday, January 22. Use link to get tickets. If you encounter problems, use promotions code FSPRE1516 when ordering. Thank you again for your past patronage. There is truly more at the North Shore and we hope to see you soon @ the Center!